The Life Insurance Corp. of India (LIC) launched its health insurance policy “Jeevan Arogya" with much fanfare on 1 June, following the footsteps of its reasonably successful LIC Health Plus (a unit-linked insurance plan or Ulip) in January 2008. It is an open secret that the new product is not doing well and LIC’s famed agency force is by and large cold to the offering. 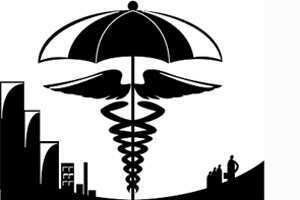 This has been more or less the story for most of the health insurance products launched by life insurance companies, whether it is ICICI Prudential Life Insurance or HDFC Standard Life or Bajaj Allianz Life. It is an interesting case study why all life insurance companies with their huge agency force (and bank assurance partners) have been unable to make a serious dent in the under-penetrated health insurance market. The other issue is health insurance products of life insurance companies don’t really address the consumer’s main need of reimbursement of hospitalization expenses. All of them have a fixed sum in the range of ₹ 1,000-5,000 per day for each day of hospitalization. Clearly, this sum cannot even come close to the actual cost of treatment for any disease in a decent hospital. This allowance is actually meant to cover incidental expenses such as loss of wages, expenses of the patients’ attendant or travelling expenses. Then most policies also offer a lump sum benefit for certain kinds of major surgeries. While this sum is substantial, it is only payable in case of specific surgeries and not for treatment of disease. Some policies also pay a lump sum if you contract some very serious disease such as cancer, stroke or organ failure. Moreover, this money is not available for regular diseases. So all in all, these policies address a niche requirement of the customer and is actually meant to be in addition to, and not in substitution of, the regular mediclaim policies. Ironically, this is not the main reason for the lack of penetration by life insurance companies as only the more aware customers (who are very few) understand this. The real reason for the failure to sell health insurance lies elsewhere. Coming to distribution, life insurance agents in India have been brought up on a diet of selling high-value investment products with just a small dash of life insurance and a high dollop of commission. The whole focus of agency force is to build a relationship with the insured person to be able to sell him more products as well as get references that will again increase sales. Since the main motive is investment returns (and tax benefits), claims are far and few. Since the number of claims (as a percentage of the number of policies sold) is small, the number of death claims rejected is even smaller as a result of which even the one odd rejection of death claims by the life insurance company does not really impact the relationships built by the agents (in any case the specific client whose claim is rejected is dead so the relationship comes to an end anyways). There is relatively low impact of lack of disclosure in the proposal forms which the agent gets signed as blank from the customer and fills up later. Contrast this with health insurance. Firstly, it tends to be taken for all the family members and not just the client. Claims are inevitable. Given the low claims from its bread and butter life insurance business, the insurance companies are not really geared with a well-oiled claim handling machinery, which can tackle the deluge of claims that are inevitable in health insurance. As a result, the claim settlement tends to get delayed. The agent is also not geared to provide assistance to multiple clients at the same time. The client is still around and the agent has to bear the brunt of the client’s ire. The relationship becomes strained for a product that has low annual premiums (as compared with high investment premiums that the agent is normally used to getting) and low commissions (again as compared with investment-oriented policies). The agent also runs the risk of losing the client’s lucrative life insurance business. This is the major reason why most life insurance agents steer clear of the health insurance product. According to a good friend who is among the top agents for LIC in India, “I rather tell a client that we are not able to assist him with health insurance than lose him forever." In fact, the number of agents who sell health insurance only is an insignificant fraction of the three million-plus life insurance agents. This is the reason behind the lukewarm response to LIC’s Jeevan Arogya. The agency force is aware of the several claim issues that are yet to be sorted out from the earlier LIC’s Health Plus and want to steer clear of the new product. One possible way out is to sell these plans through the Internet and phone only. Since the client purchases the product on the Web or on the phone, he does not really expect the same telephone/chat agent to help him if a claim arises and he will approach only the company in case of claim. Direct selling as well as setting up a robust claim handling machinery and having a good product is a must for successful sales of health insurance plans. The distance marketing guidelines that have come in force from 1 October should also help. Life insurance companies can play a significant part in spreading the much-needed health insurance coverage in India and hopefully will be able to get over the initial bumps to make their entry into health insurance more successful.